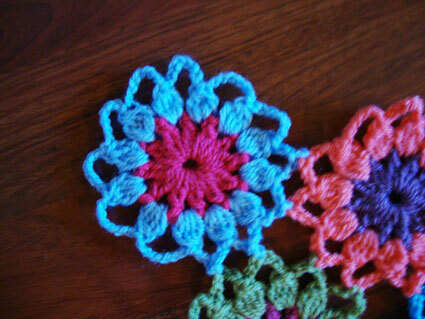 So, I took an old crochet magazine and transformed my way a pattern made originally for a doily…and I loved it so much… …so much…that I crocheted a flower and after another flower etc…with leftover yarns…. Have a beautiful week end! Thankyou so much for the pattern , I’ve never managed to follow a graphic pattern before but I think I must have a go at these . It’s beautiful! And it looks like a lot of fun to do this! Enjoy!!! Oooo I likey! 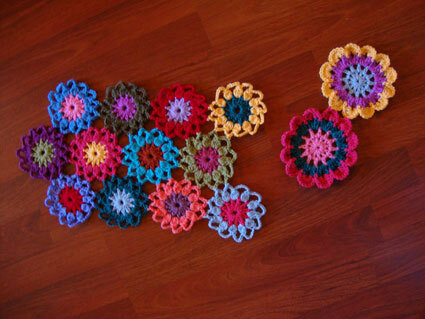 It’s going to be a very pretty scarf! Hi! It’s very pretty, so bright and chearful. Well done!! Those flowers are going to make a lovely scarf, Angie. I may have to have a go at this one sometime soon!! I like it better than the original. Lovely! Good evening Angie! Great work! 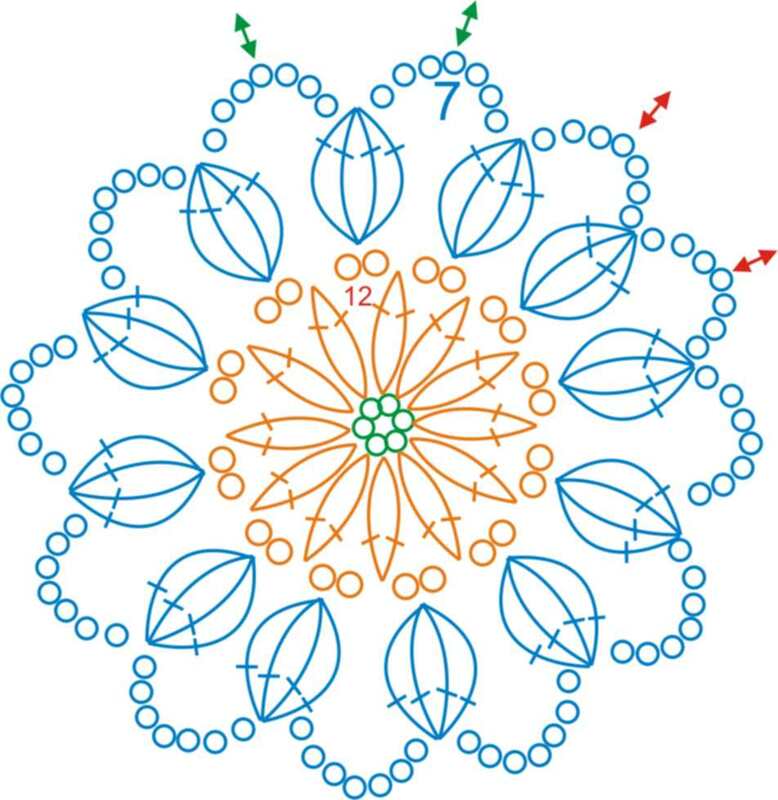 I saw also Lucie’s crochet and I was thinking a lighter version would be nice…not to have the flowers so tight together. You make it perfect – it’s going to be adorable! Thank you so much for having the time to make a pattern! What wonderful Colours…and i thank you so much for sharing the pattern with all of us. I have to try this now … your scarf is a dream! thanks for the pattern ! it’s lovely!!!! 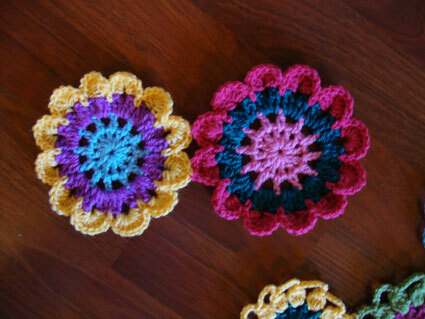 **This, i have got to try, thankyou for sharing such a lovely pattern. Pixie. Your scarf looks beautiful, Angie! So colorful! I love how your scarf looks so far! !So bright and cheerful and pretty!! gorgeous flowers. thanks for the pattern! I would love to know how you make those graphic patterns if you wouldn’t mind sharing. Do you have specialist software? Oh it is just beautiful!!! 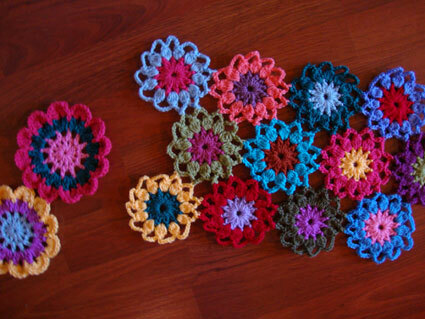 thank you for the pattern, I would love to have a go at this sweet flower one day soon! love the scarf. i’ve never worked from a graph, i will force myself to give it a go. love it. i will bookmark your blog, just came upon it today. 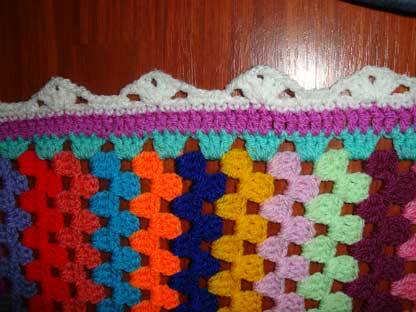 I love the pattern and the colours you’re using, that’s going to be a beautiful scarf to wear. I like your “lighter” version very much!! and I intend to follow you!! Thanks a lot for the idea! Very pretty! Thanks for sharing the pattern. Also great graphic as always. Beautiful project and blog! What program do you use for the chart? It is so easy to follow . . . thanks for sharing your work. Makes me wish I knew how to crochet! Hello Angie! I’ve just tried your pattern and I simply loved it! It’s a pity most of my stash are pastel colours… I will have to wait until I get vibrant ones. 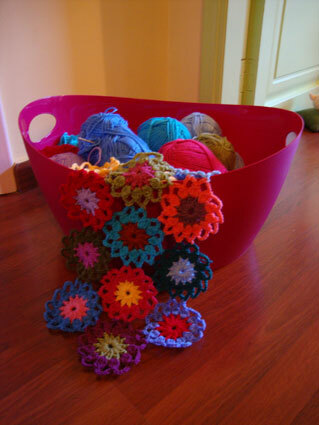 Thank you a lot for posting the pattern if you want to see my trial there’s a picture on my blog. I will put a link to your site. Thanks again. Hi– I’m just wondering what software you use for your graphic patterns! I LOVE your stuff!! beautiful scarf! it’s so sunny it will always make you smile when you wear it! I would also love to know what software you use for the graphic patterns. it looks great. thanks! superbe graphique ; existe t il un logiciel pour le dessiner ? Le monde de Sucrette's blog is a magical, colorful and 100% handmade world! 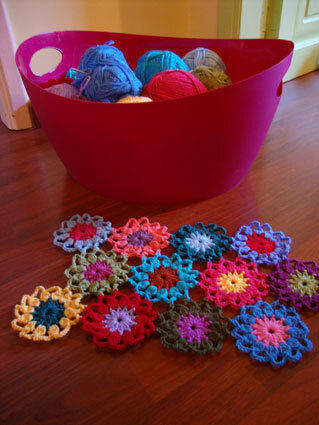 Every stitch is sewn with love and every creation is a handmade product crocheted with care. Thank you Teje and Clara! Thank you Dorien, Wink, Louise and Grace Ann!